With the push of the button, James Earle Fraser’s Type 1 Buffalo design is now preserved in 24-karat gold as part of the American Buffalo Gold Coin program. During the ceremonial striking ceremony, the Mint’s Deputy Director David A. Lebryk said the design “which have been American favorites since they were first used in 1913, recall a golden age of coin artistry.” The one ounce coin will be produced in uncirculated and proof versions. The accompanying pictures of the coins are from the US Mint Image Library (click the images to enlarge). 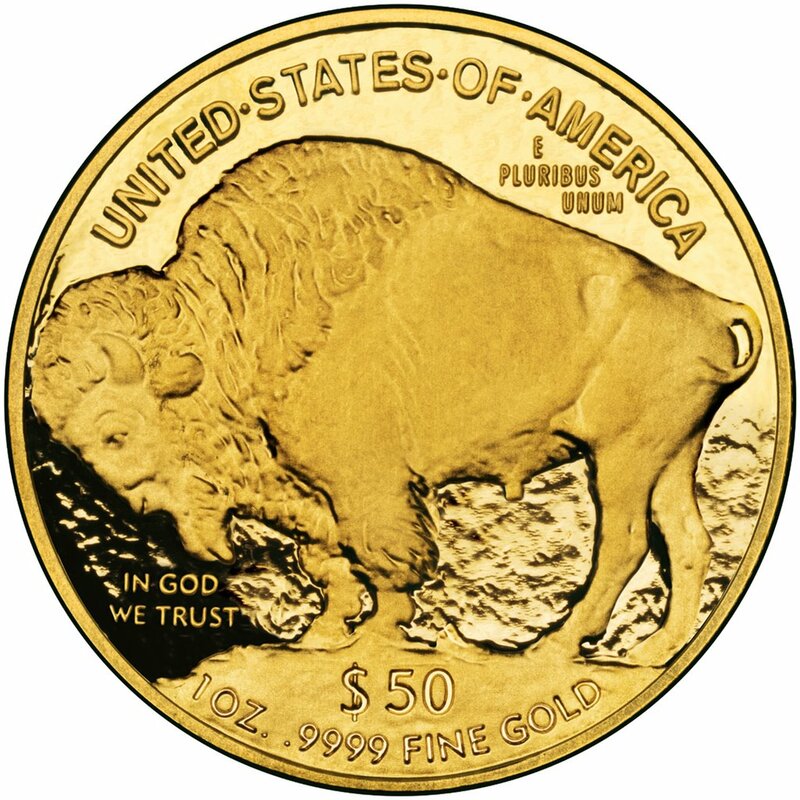 With the issue of the $50 American Buffalo Gold Coin, the Fraser Buffalo design joins Augustus Saint-Gaudens’ Liberty Double Eagle and Adolph A. Weinman’s Walking Liberty as classic coin designs that grace US bullion coins. Both Weinman and Fraser studied and worked with Saint-Gaudens. Their coin designs are the result of President Theodore Roosevelt’s push to update US coinage to be the most beautiful in the world. Roosevelt commissioned Saint-Gaudens to produce classic, yet modern designs. 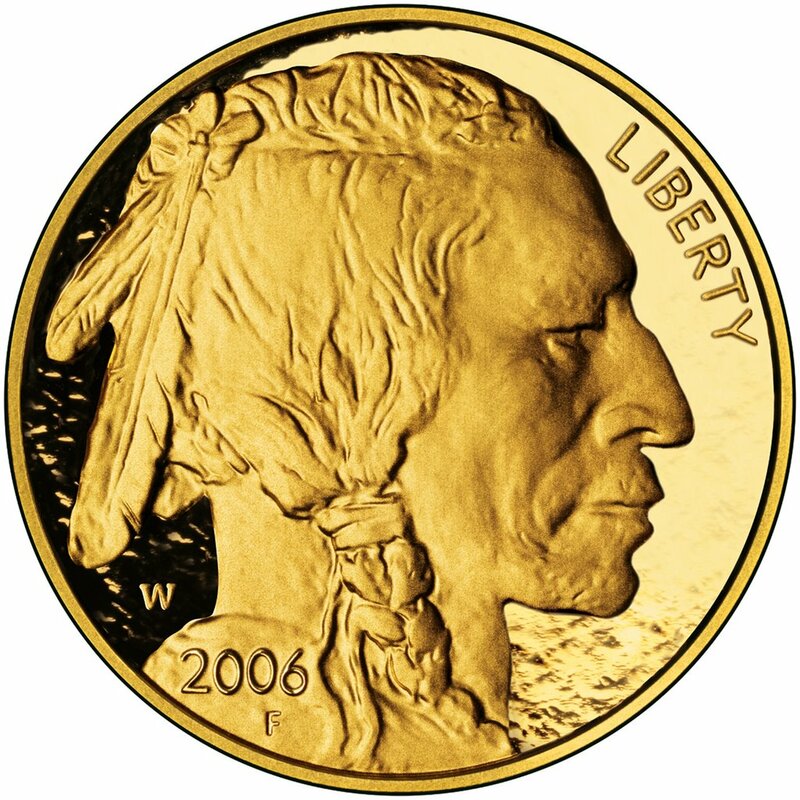 Saint-Gaudens responded with the famous Liberty design used on the $20 double eagle and the Indian $10 eagle coins prior to his death. Roosevelt was also instrumental in pursuing the Victor David Brenner designed Lincoln Cent to honor the 100th birthday of Abraham Lincoln. We will celebrate the Lincoln’s 200th birthday and the cent’s 100th anniversary in 2009 with four coins to commemorate the the life our 16th President. That “golden age of coin artistry” continues is a tribute to the vision of Theodore Roosevelt and the love he felt for this nation. BULLY!